A federal judge clears for trial a claim by Maurice Greenberg, former chairman and CEO of AIG. A federal judge has cleared for trial a claim by Maurice “Hank” Greenberg, former chairman and CEO of American International Group (AIG), that the federal government acted inappropriately when it took control of AIG in September 2008. Greenberg, through Starr International, a former unit of AIG, owns 13 percent of AIG. The trial will begin Sept. 29. The case is being heard by Judge Thomas Wheeler in the Federal Court of Claims in Washington. He said that while the motion and response have provided a useful summary of the parties’ positions, “the Court needs to weigh the evidence, make credibility determinations, and draw legitimate inferences from the facts. The sheer volume of material presented is a testament to the complexity of the issues before the Court,” Wheeler said in his decision. Greenberg seeks $25 billion from the federal government for himself and other AIG shareholders. Meanwhile, AIG has divorced itself from the case. The case stems from the government acquisition of 79.9 percent of the stock of AIG, with the approval of its board, in return for $85 billion in cash in September 2008. The Fed later provided additional aid to AIG through additional cash and creation of facilities in exchange for mortgage-backed securities either directly held by AIG or exchanged by holders of MBS, guaranteed by credit default swaps issued by AIG. The federal government later paid the Fed for the stock, and then sold off its AIG holdings by September 2012 through a series of initial public offerings. The Fed has also sold off the securities held in the facilities it created. It is estimated that the government provided its credit rating and more than $300 billion in cash before the Treasury Department ultimately sold stock in AIG acquired from the Fed in a series of public offerings that ended in December 2012. An economist estimated that, by the time the Fed and Treasury got through aiding AIG, the Treasury Department owned 92 percent of AIG’s stock. A recent study by Bloomberg News revealed that when AIG was controlled by the Fed, they sold off highly valued insurance and other subsidiaries for $79 billion in order to clear the way for an end to federal involvement. Greenberg alleged that the federal government took control of AIG in order to bail out other financial institutions. He also cited the original 14.5 percent interest rate on the loans as onerous and depriving AIG shareholders of their due process and equal protection rights. One of the key claims Greenberg is making the lawsuit deals with the federal government’s decision to buy back credit default swaps (CDS) issued by AIG’s Financial Products unit to insure mortgage-backed securities purchased by foreign banks. Greenberg argues that that decision was an effort to bail out other troubled financial institutions. A Senate Banking Committee hearing in 2009 elicited testimony by the Federal Reserve Board indicated that $75 billion of the money the government loaned AIG was used to buy back CDS on toxic MBS. A document issued by AIG indicated that most of the CDS repurchased were those bought by European banks, including Paribas, Deutsche Bank and Barclay’s. 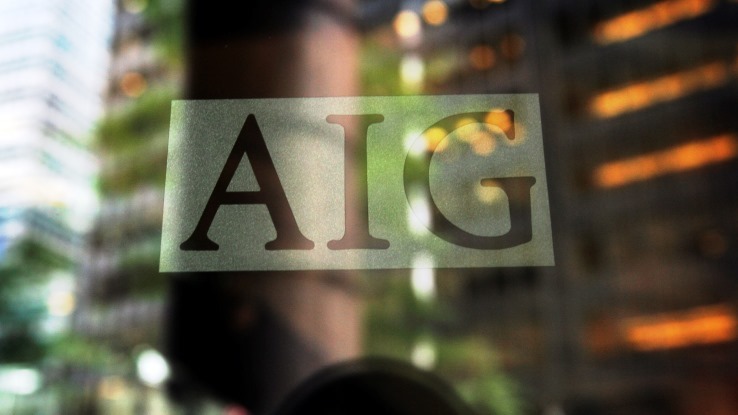 It was AIGFP’s issuance of an estimated $2.77 trillion in CDS that got AIG in trouble and forced the bailout. As AIG’s credit rating declined in 2009 in the wake of a huge housing boom and bust financed by Wall Street, holders of the CDS demanded additional collateral in order to protect themselves. When AIG was unable to provide the cash to meet those calls, it asked for federal help. Lawyers said one of the reasons Wheeler has taken such a hard line in the case is because of the “media frenzy” generated by the request of Greenberg that the newly-reconstituted AIG join his suit. The AIG board in January 2013 ultimately decided to renounce any claim to funds that Greenberg might gain through his lawsuit. He was particularly upset by comments by AIG’s lawyers in the case that Greenberg had a “very low probability of success,” in other words, that AIG lawyers were pre-judging Wheeler. It was partly based on a decision by a Federal Court judge in New York to dismiss a similar case filed by Greenberg against the New York Fed. Wheeler claimed that, “Although professionals surely can opine on the pros and cons of a lawsuit, the Court cannot see how anyone could have made a precise assessment of this fact-dependent case without knowing what all of the evidence ultimately will show,” Wheeler said in a decision denying the government’s claim to dismiss the case last year. “To be sure, the Court’s ultimate disposition of this case will be based upon the evidence admitted at trial, not upon someone else’s assessment of the merits,” Wheeler said in granting AIG’s motion to renounce any claim to funds Greenberg might win.